It’s estimated that there are 75,000 dams in the United States, and that during the golden era of dam building in the 1950s and ’60s the Army Corps of Engineers built a new one every six seconds. That’s roughly a dam a day since they signed the Declaration of Independence, but now, as you may have heard, they’re beginning to tear some of them down. Since 2010, demolition crews have deconstructed roughly 40 dams a year, according to American Rivers. The most notable of these is the Glines Canyon Dam on the Elwha River in Olympic National Park. Recently breached dams have created new rapids that have been flooded for decades. Check out a few of the newest, best rapids that make boaters drool. There were actually two dams removed on the Elwha River. The Glines Canyon Dam was the largest, but farther down stream the Elwha River Dam was removed a year later, in 2012. 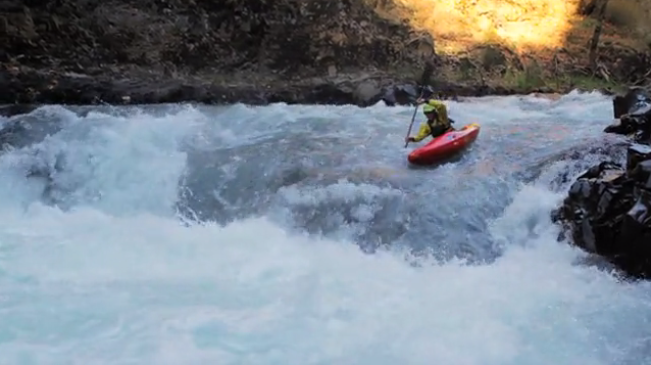 This video shows a group of kayakers running through the old Elwha River Dam site, and down the newly formed rapid called That Dam Rapid. It’s a challenging Class IV with three drops and powerful hydraulics. 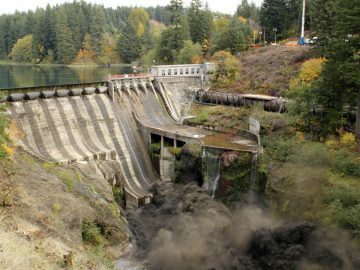 The detonation of the nearly 100-year-old Condit Dam in 2011 on the White Salmon River in Washington was quite the show. This time-lapse video is simply the best way to comprehend the impact of removing a dam. The removal of the Condit now provides access for boaters through a dramatic gorge known as the White Salmon Narrows, and the entry rapid is called Steelhead Falls. It’s a technical Class IV that is difficult to scout. The affectionately coined, West Tuck, in North Carolina is a creek boaters dream. Following the Dillsboro Dam removal in 2010, the Duke Energy company is now releasing flows into this tributary that has been nearly empty for over 80 years. The 5.5-mile stretch is creek boating at its finest. It boasts one of the most photogenic put-ins imaginable — directly beneath a massive two-tiered waterfall. 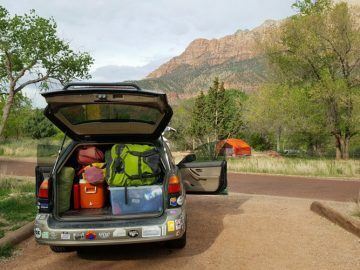 Just after the put-in, kayakers encounter complex boulder problems, numerous slides, a gorge, and continuous Class III water. The hallmark of this run is a 25-foot slide called Flight Simulator, a tiered cascade that’s a riot at high flows.